Map the customer roof before you visit client’s site and present it in the quote. Quote you can include Nearmap roof plotting image too. 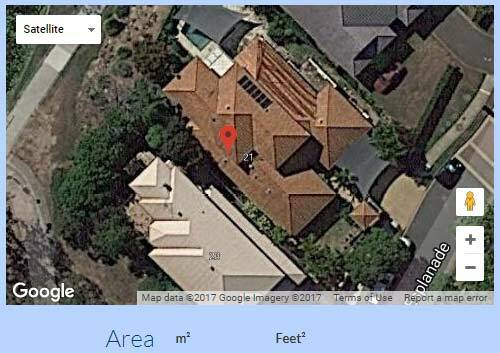 Roof image (via Google Maps) and details about the job –e.g. house aspect, roof type, number of storeys, roof measurements etc. Get clear roof picture and measurement before you quote and send your sales person online. Roof measure and details from one easy to use cloud based solar CRM. Call us today for a demo, we are based in Brisbane, Australia.